Office Depot: 250 Custom Color Address Labels $.99 Shipped! 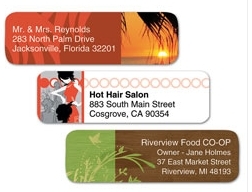 Here is a smokin Hot deal at Office Depot on a roll of 250 Full Color Custom Address Labels for only $0.99 shipped. Just head over here, make your labels, and use coupon code: 854758859 at checkout. This deal is for today only! Crocs: 20% Off = Sandals For Only $7.99 Shipped!